I came to Fringe late in the game (this is what happens when you don’t have cable), and I’ll admit I didn’t find it particularly gripping at first. I kept at it because as a sci-fi fan, teacher, and a science writer, I knew it was precisely the type of show I should appreciate. Ultimately, what didn’t work for me in the beginning eventually drew me in — there was something familiar about the show, something that reminded me of a show that I do love: Buffy. 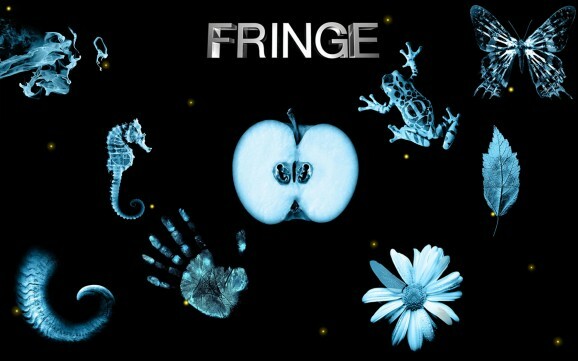 Fringe is perhaps more obviously comparable to the X-Files, a show I also really like. I appreciate their similarities — I love investigations, crime fighting, suspense, conspiracies, etc. But Fringe’s likeness to Buffy really threw me off at first. In Buffy, the bad guys are vampires, demons, or people stirring up dark mojo; in Fringe, they’re evil scientists, renegade geneticists, and deranged hackers — just replace the supernatural with the technological. Both shows feature freaky, sewer-dwelling creatures, telekinesis, and experiments gone wrong. And the parallels don’t end there. Olivia is, of course, Buffy. They even look alike, give or take a decade. Olivia was betrayed by her crime-fighting partner and lover, John Scott, much as Buffy was betrayed by Angel. And even when things are hunky dory, Buffy can’t be with a vampire, much as Olivia can’t be with an apparition/memory/brain-melded lover. While Walter Bishop is a bit crazier than Giles and a bit more hands-on, he’s similarly the brains of the enterprise, hatching crazy schemes that end up working. They also both have dark pasts — Giles as the Ripper, a mischievous practitioner of black magic, and Bishop as someone who injected children with a compound designed to exploit their fringe talents. Pacey Whitter…er, Peter Bishop, is like Xander, though he’s more helpful and intelligent. He pines over Olivia like Xander does over Buffy, and in my opinion they’re both the weakest characters of their gangs. Astrid’s a much better-dressed Willow and she’s not in love with Peter (nor, as far as I can tell, is she gay), but she stays in the lab, answers the phone, and does the research. Both groups operate under the auspices of a bigger, more powerful governing body that gives them trouble. Even Bishop’s laboratory in the basement of an old building at Harvard parallels the high school library where the Scoobies meet to do their business. The monster-of-the-week structure that doesn’t always work for Buffy didn’t work for me with Fringe. But once the bigger mystery starts coming together, the show transforms much like Buffy. For me, that didn’t really start happening in Fringe until season two, at which point I was really glad I hadn’t given up on it. The alternate universe plotline is awesome. Buffy dabbled for two episodes with the “wish verse,” an alternate dimension in which Buffy never came to Sunnydale. But Fringe goes far beyond that, developing an entire universe with an alternate version of each of the characters (Walternate? How brilliant is that?) And that’s where things get interesting. When the two Olivias get swapped (a plotline I’ll point out also happened in Buffy, albeit briefly, when she and Faith swapped bodies), the inevitable Peter and Olivia fall in love plotline takes on greater significance and dimension. It’s hard to know who’s got it worse — real Olivia, Peter, or faux Olivia, who of course ends up genuinely falling for Pacey…er, Peter. Fringe is at its best when it explores these bigger ideas — how many universes are out there? Is there another me somewhere? Are our universes connected in some way? Those bigger questions kept me interested and invested until the end. Oh, and who can forget the amazing LSD episode? I love a show that gives psychedelics their due.